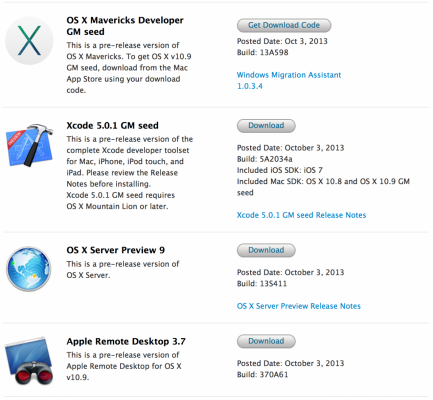 Apple has released OS X Mavericks Gold Master for developers so that they could test it before its official launch. The GM release indicates that a Mavericks launch is near, and this build will most likely be what is released to the public (bearing any major bugs). By the way, the new operating system for Apple’s desktops and laptops is expected to be released to public no sooner than in the last two weeks of October. 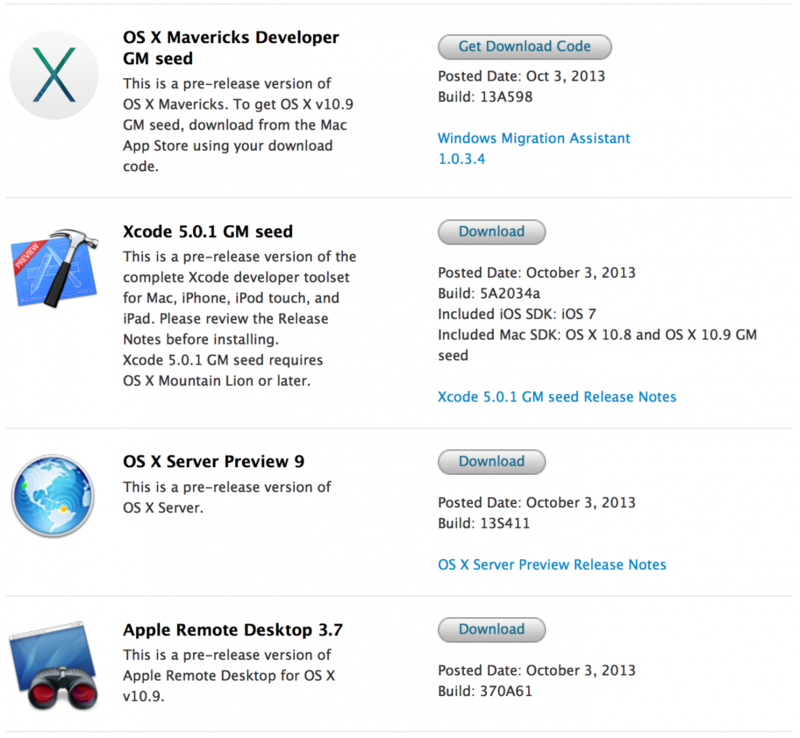 Apart from OS X Mavericks, the company from Cupertino has also seeded such programs as Xcode 5.0.1 GM, OS X Server Preview 9 and Apple Remote Desktop 3.7 to developers. What this all means is that if you have an Apple Developer Account, you can download and test all the software I mentioned above using the Mac App Store. Don’t waste your time.